This enchanting release from Katat0nik is a must have at this month’s Collabor88. 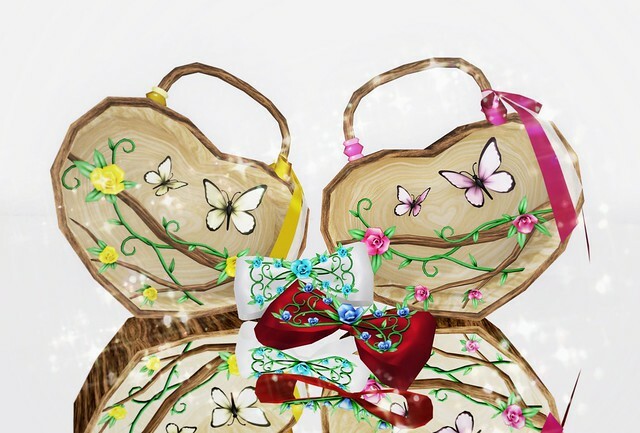 The Woody Purse is hollowed with gorgeous flowers, vines & butterflies inside! And since I cannot resist a hair bow, the Dolly Vine Hair Bows are a perfect companion to many SL hairstyles.